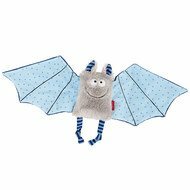 The imaginative Pendant for the baby seat Fledermaus - Baby Bite Me by Sigikid for fun on the go. Just like in real life, the little animal hangs upside down on the carrying handle of the infant carrier. The feet are fastened with a Velcro fastener. 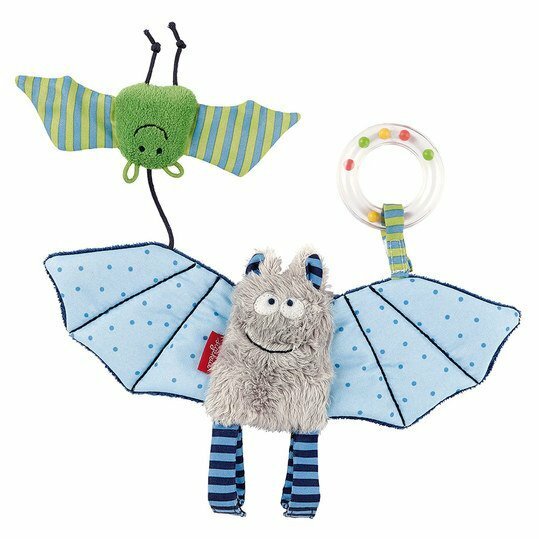 Now the bat dances over your offspring and arouses the curiosity of your baby. 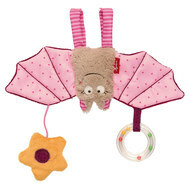 The soft material stimulates to grasp, play and discover and the rattle ring makes funny noises. The wings are filled with crackling paper and there is a squeak in the belly. 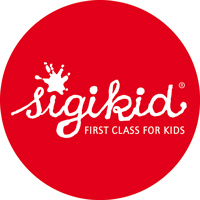 Your child will certainly not get bored and the best play friend will always be on board. Anhänger für Babyschale Fledermaus - Baby Bite Me wurde bewertet mit 5.0 von 5 von 4.